Are you interested in selling or recycling your old Cisco IP Conference Telephones? NetEquity.com buys used, out of service and excess Cisco IP Conference Telephones, Expansion Microphones and Accessories. We are always looking for inventory, if you have recently upgraded your Cisco phone system, or have excess inventory of Cisco Conference Phones you want to sell, connect with a buyer agent today to receive a quote! Cisco offers a variety of IP enable desktop conferencing phones designed for use with the Cisco IP Communications platform. Product offerings include the Cisco IP Conference Phone 7832 for small conference rooms, Cisco 8831 and 8832 for medium to large conference rooms, and the legacy Cisco CP-7937G for small to large conference rooms. We Buy and Sell Cisco IP Conference Phones . Whether you are interested in Buying or Selling conference phones, we can help! Contact us today for a quote. 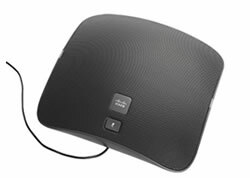 Interested in buying New or Refurbished Cisco IP Conference phones, Expansion Microphones, Cables or other accessories? NetEquity.com provides deep discounts on both New and professionally Refurbished Cisco IP Conference Telephones. Our Professionally Refurbished Cisco Conference Telephones are restored to New condition, reset to factory default settings and packaged with new cables and accessories. All NetEquity products are offered with a full 1-Year replacement warranty. To request a price quote, simply contact us or complete a quote request form online to get started. NetEquity Refurbished Cisco IP Conference Telephones are professionally remanufactured to Grade A Cosmetic Condition, fully tested by Certified Engineers and reset to Factory Default settings. Our Refurbished Conference phones include New cords and RJ45 patch cables, and are ready to install out of the box. In addition to offering extremely competitive pricing on Refurbished Cisco IP Conference Phones, we also offer a full 1-Year replacement warranty for End Users on all Refurbished Cisco products. We also maintain a very large standing inventory of the most popular Cisco IP Conference Telephone models and accessories, ensuring that we have what you need IN STOCK, with no long lead times. NetEquity.com wants to buy your used, excess or end-of-life Cisco IP Conference Telephones. If you've simply outgrown your Cisco Conference phones and need a refresh and are interested in a trade-in or upgrade, we can help. Contact us today to sell, consign or trade your unwanted Cisco IP Conference Telephones.